Via email, Brian Kalis, Accenture’s managing director of digital health, chalked this up to the fact that the aforementioned companies have found a fit for their business models. Additionally, he mentioned many of the companies (like Guardant Health, Jawbone and Health Catalyst) focus on six overarching areas that received the majority of digital health funding. Marc Warren, who co-authored the analysis within Accenture Strategy, explained why these six areas stood out. The provider efficiency category includes tools for payers and providers to boost operational efficiencies. Virtual care/coordination is a theme that will keep growing in popularity, particularly due to current inefficiencies in care delivery. Wearables are a maturing field, and “their ability to detect specific biometrics is increasing, which we forecast will soon clash with clinical grade devices,” Warren said via email. Personalized medicine investments point toward a future of relying on an individual’s genetics and evidence-based medicine. Better access to data and technology are making enhanced diagnostics a more viable field. 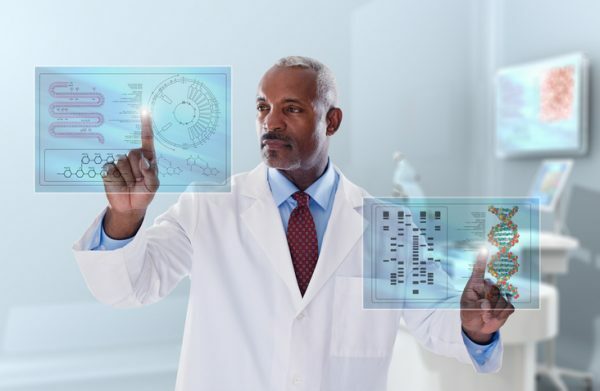 Finally, major healthcare players are working to advance data collection, real-time analytics and artificial intelligence. Accenture’s analysis also found investors are slowly focusing on later stage startups rather than newly minted ones, signaling an evolution in the market. The assessment includes a prediction by Accenture, as well: The digital health funding market will hit $7 billion by the end of 2017. The market was at $7 billion in 2015, though Accenture anticipated it would be at $4.3 billion. In 2016, it dropped to $6.4 billion. Accenture predicted funding would hit $5.3 billion that year. To conduct its research, Accenture analyzed over 4,000 companies across the globe. The funding analysis is based on a sample of startups that earned funding between 2008 and 2017. Pharma companies are forming long-term relationships with patient organizations, a move that is already bearing fruits for both parties.